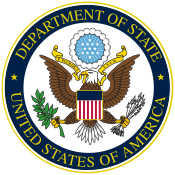 Acting Assistant Secretary for International Security and Nonproliferation C.S. Eliot Kang will attend the biannual Plenary Meeting of the Global Initiative to Combat Nuclear Terrorism (GICNT) in Tokyo, Japan June 1-2. The mission of GICNT is to strengthen global capacity to prevent, detect, and respond to nuclear terrorism. All GICNT partner nations have voluntarily committed to implementing the GICNT Statement of Principles, a set of fundamental nuclear security goals encompassing a range of deterrence, prevention, detection, and response objectives. The Plenary Meeting will highlight progress made by GICNT’s three Working Groups: Nuclear Forensics, Nuclear Detection, and Response and Mitigation. It will also provide a forum for partner nations to showcase their contributions to GICNT and share recommendations that will inform the direction and activities of the Initiative for 2017-2019. The United States and Russia, as GICNT Co-Chairs, will also welcome GICNT’s newest partner nations, Paraguay and Nigeria.